Minneapolis/St. 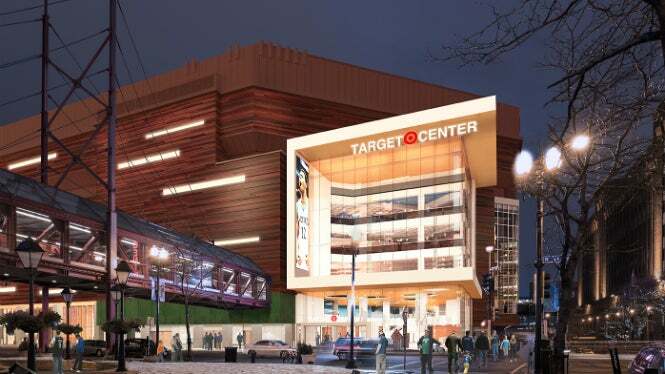 Paul – The Minnesota Timberwolves and Lynx announced today that owner Glen Taylor will contribute an additional $9-$12 million toward the Target Center Renovation project. The new contribution will provide supplementary amenities to further enhance the experience for all Timberwolves and Lynx fans. The funds will be directed towards new seats, railings for the lower bowl seating area, a better and more robust wi-fi platform than originally planned, additional digital signage in the arena bowl and a new skyway off the back side of the arena. There will be a presentation on the additional enhancements at 1:30 pm on Tuesday, January 17 at the Minneapolis City Council’s Community Development & Regulatory Services Committee meeting. These additions, plus the original project improvements, will help accomplish the project’s ultimate goal of greatly improving the fan experience for all Target Center events heading into the Timberwolves 2017-18 season. The additional funding will bring the total Target Center renovation project to between $138 and $141 million. The public contribution remains unchanged. For more information on the Target Center renovation visit www.targetcenterrenovation.org.